I’ve been crocheting a blanket for Munchkin, since he’s getting big enough to need one in his crib/toddler bed this winter. (I want to keep him in the crib for as long as I can, but I’m betting he’ll be in the toddler bed before spring!) It has me thinking about crochet blankets and noticing cool patterns everywhere. Check out this collection from a variety of awesome designers! 1. 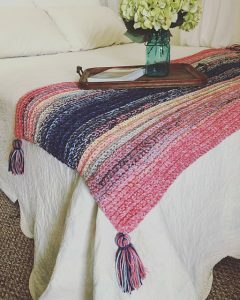 I love the simplicity, texture, and pop of color of this Boho Berry Stitch Blanket from Daisy Farm Crafts. 2. 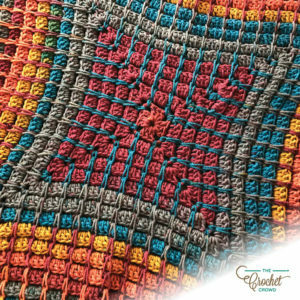 The Just Marl It Throw by CJ Brady is so colorful, cozy, and durable! 4. 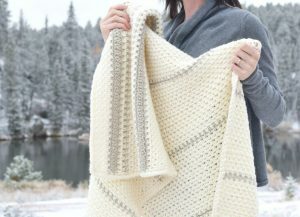 On a more neutral note, the Mod Heirloom Crochet Blanket by Mama in a Stitch looks so cozy and classy. I love the stitch pattern and the stripes, and I can definitely see it being a family treasure for years. 5. I love the texture and wide stripes of the Alpine Blanket by YarnHookNeedles. 6. 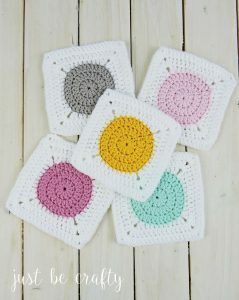 I’ve been on a granny kick lately, and I love this alternate version: the Circle to Square Granny Square tutorial from Just Be Crafty. 7. 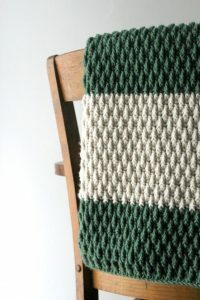 The stripe pattern and texture of the Baby Bean Baby Blanket by Left in Knots really caught my eye. It looks so snuggly! 8. 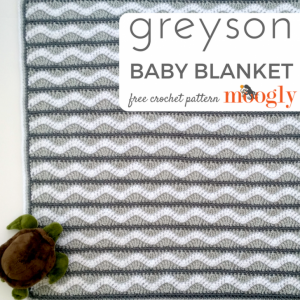 You gotta love a classic ripple blanket, but Moogly’s Greyson Baby Blanket really knocked it out of the park with its alternating ripples and straight lines. 9. I’m in love with the cozy yarn choice of the Charlotte Crochet Blanket from Rescued Paw Designs, and, again, the stitch pattern looks so snuggly! 10. 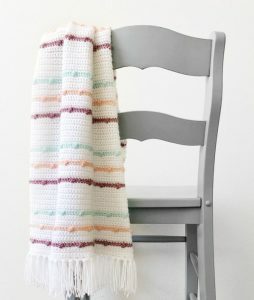 Make & Do Crew’s Modern Crochet Granny Stitch Blanket is a bright update of the granny blanket, doing the granny stitch in stripes rather than squares. 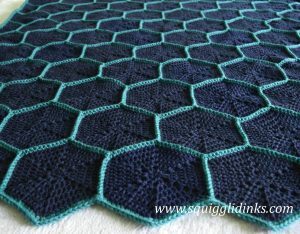 If you like hexagons, check out the Green Apple Blanket that I made last year. I loved crocheting the hexagons; not so much seaming them together. But I love the way it turned out. 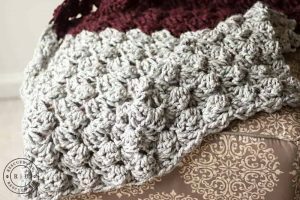 Want to crochet a blanket in a weekend? 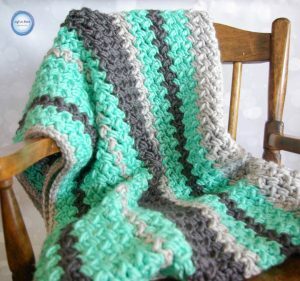 Try Jenni’s Favorite Chunky Throw by By Jenni Designs or Baby to Boomer’s Fast and Easy Weekend Afghan. Both look super cozy and so quick! 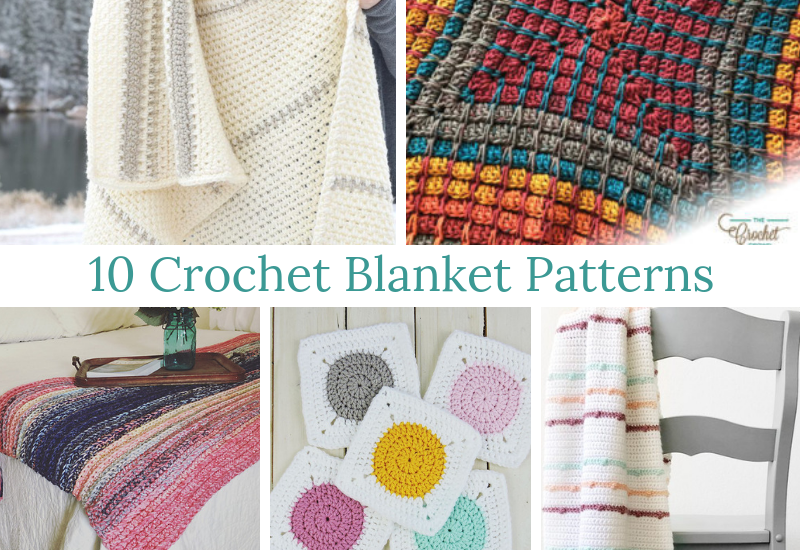 I also found another roundup of 100 free crochet blanket patterns, if you can’t get enough of blankets! 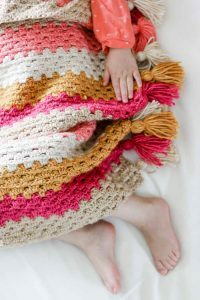 Do you prefer to crochet your blankets all in one piece, so that it keeps you warm as you make it, or in smaller pieces that you seam together in the end? Smaller pieces for the win. Way more portable than an entire afghan.